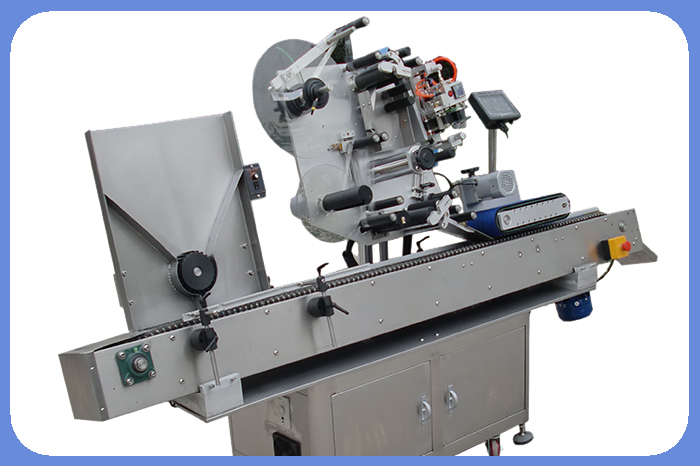 ● The machine is made by 3mm SUS304 stainless steel and high quality aluminum alloy. 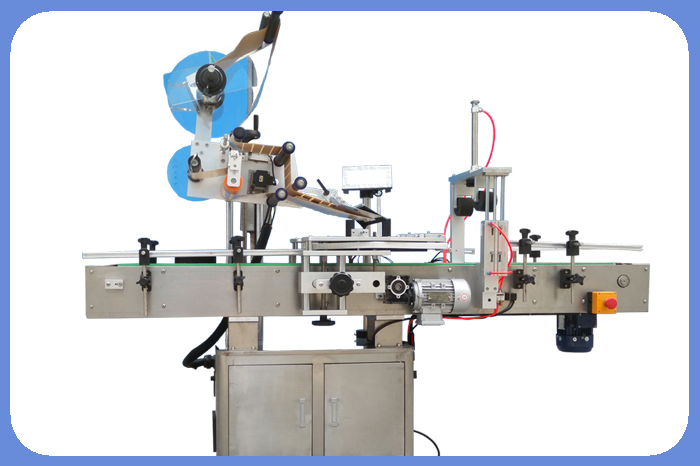 ● Imported step motor or servo motor is used for the labeling head to assure labeling speed and accuracy. 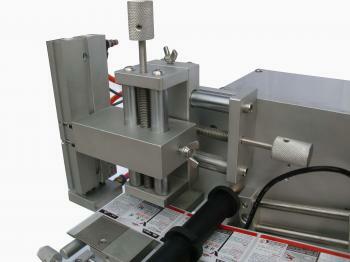 ● The photo electricity and control system apply advanced component from Germany or Japan or Taiwan. 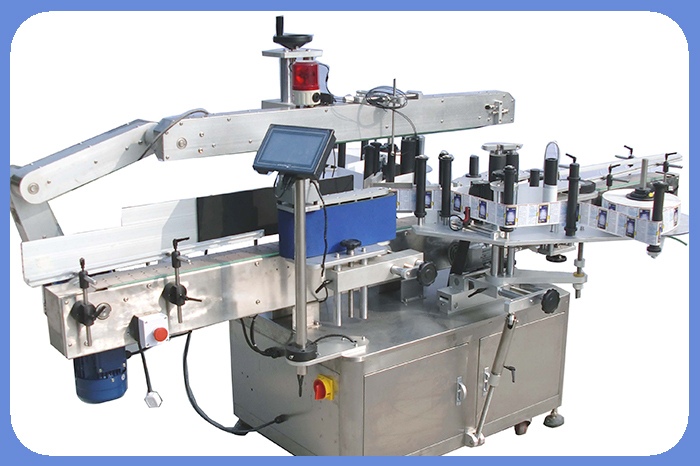 ● Use PLC man-machine interface control system, which is easy to operate. ● It can work separately. 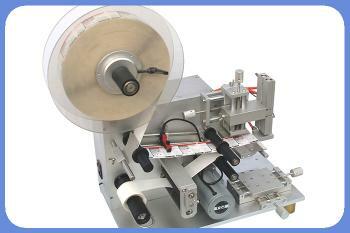 ● Client can choose to add printer or high speed hot printer(need to be customized). 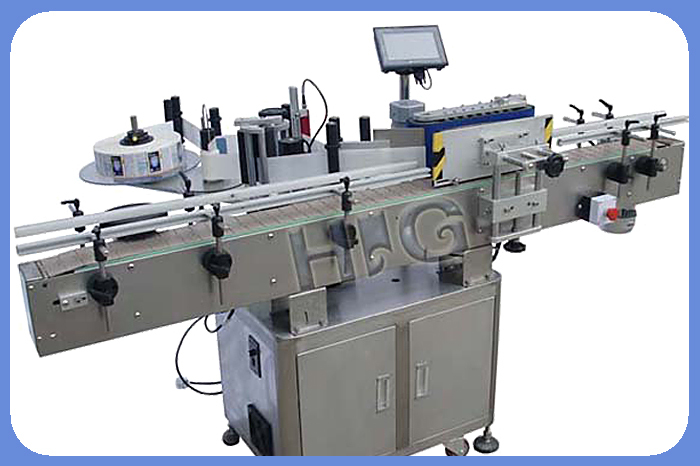 Paging Machine Normal paging machine is suitable for products, whose thickness less than 5mm, width less than 300mm.If your products are thicker and wider, you should change to paging machine with absorption. Our coding machine is driven by electricity and do not need air pressure,it can print at most three lines and every line at most est. 12 letters. 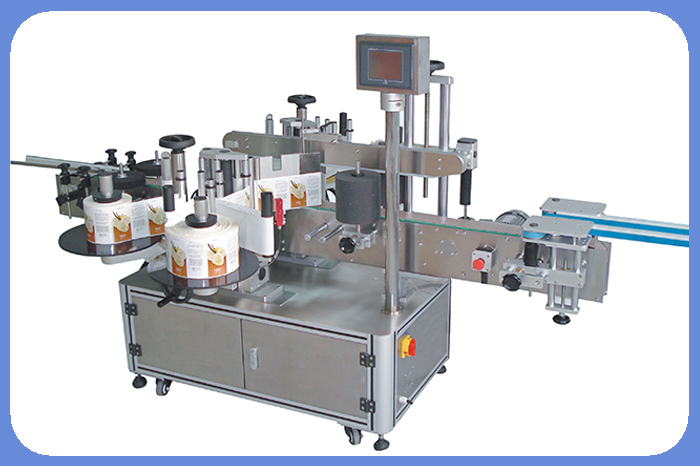 As it is added at the end of the labeling machine, it can be adjusted left and right and forward and backward. The ribbon size is standard, you can replace in your country later. 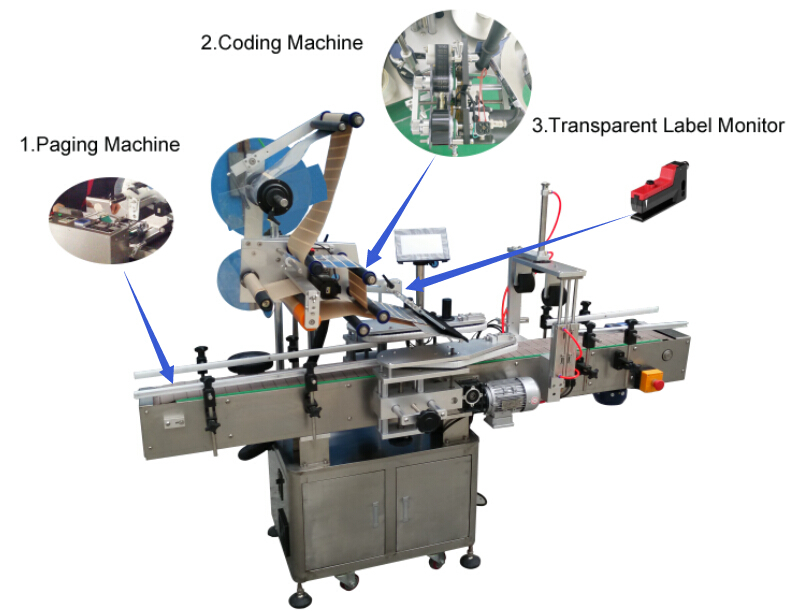 The standard letters for the coding machine is numbers from 0 to 9, and some english letters, such as Date, Batch, Exp.etc. 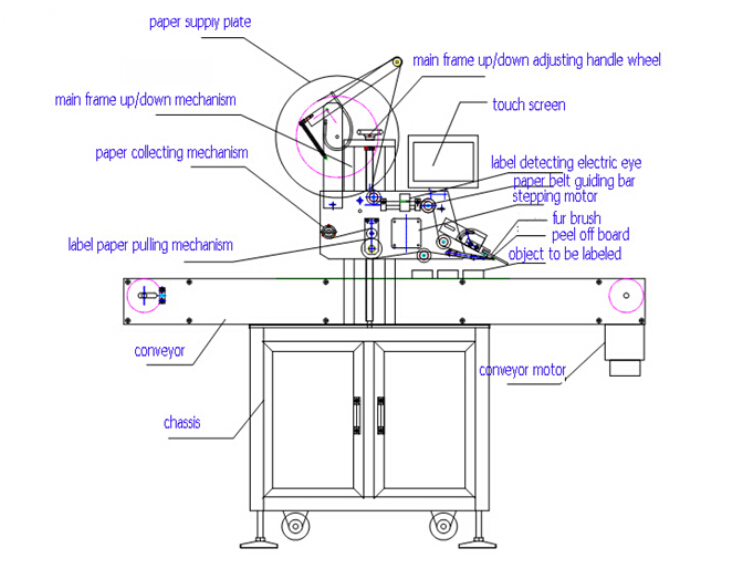 If you have both transparent and non-transparent labels, a universal label monitor is suitable.